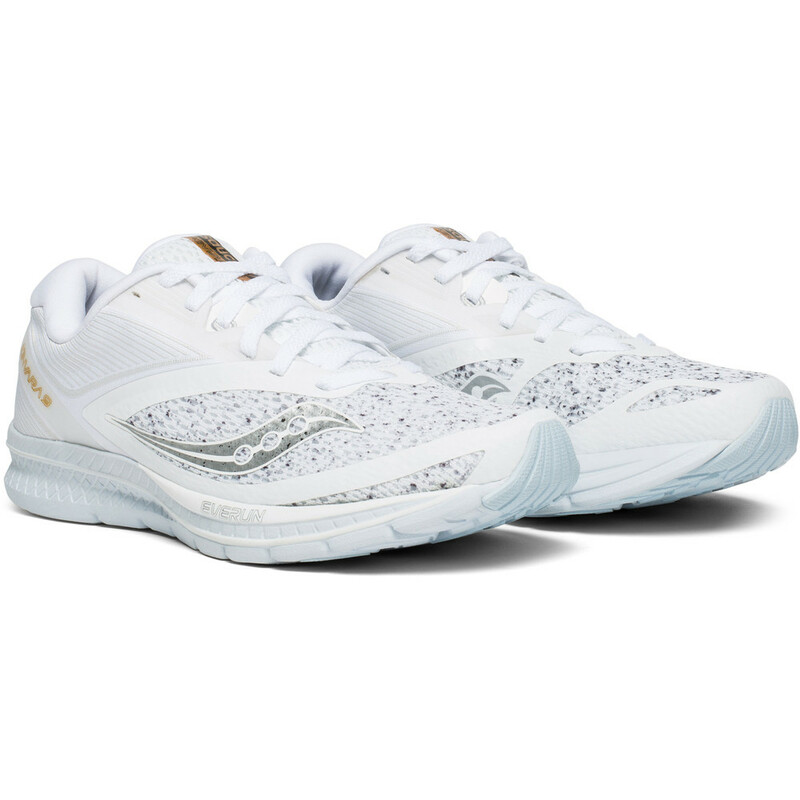 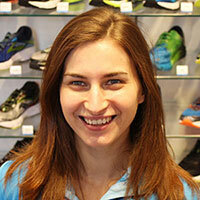 The Saucony women's Kinvara is a 4mm drop lightweight road running shoe for the neutral runner. 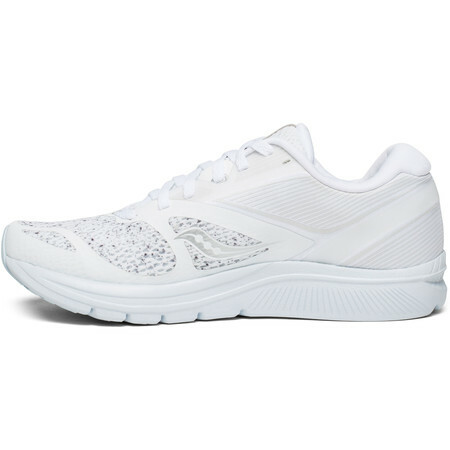 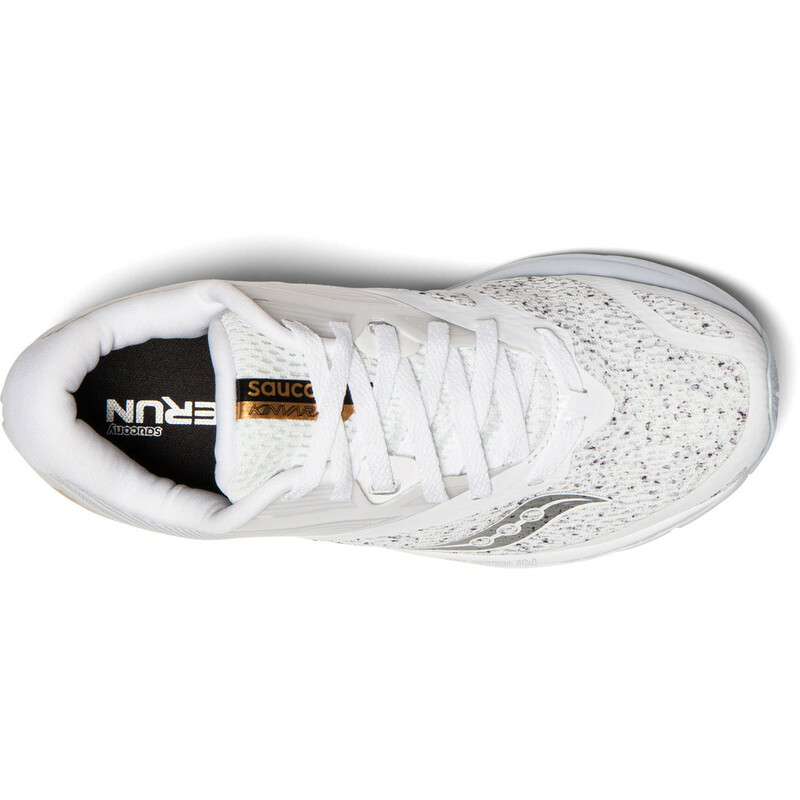 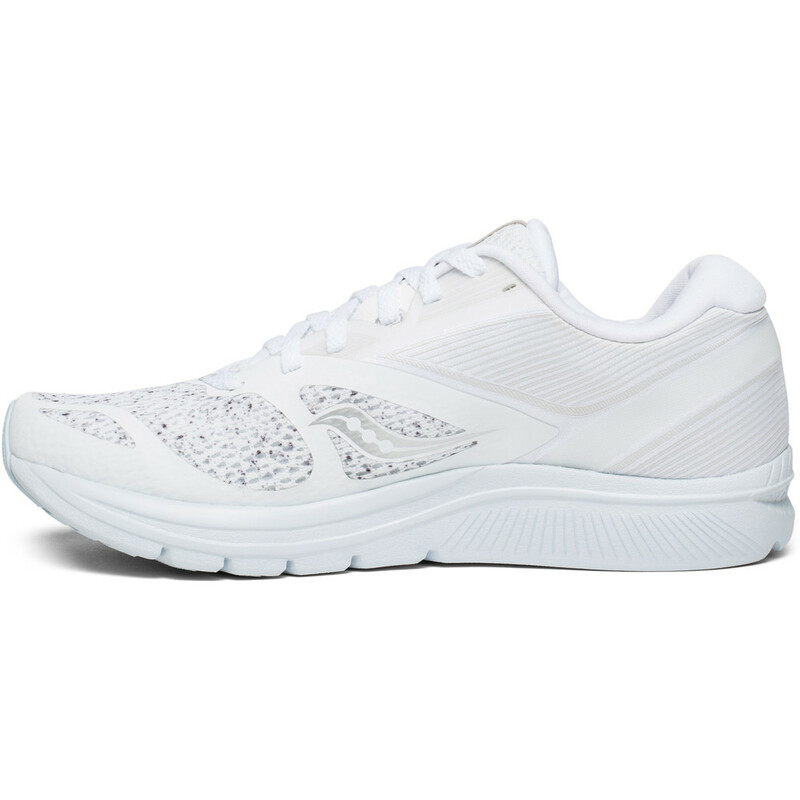 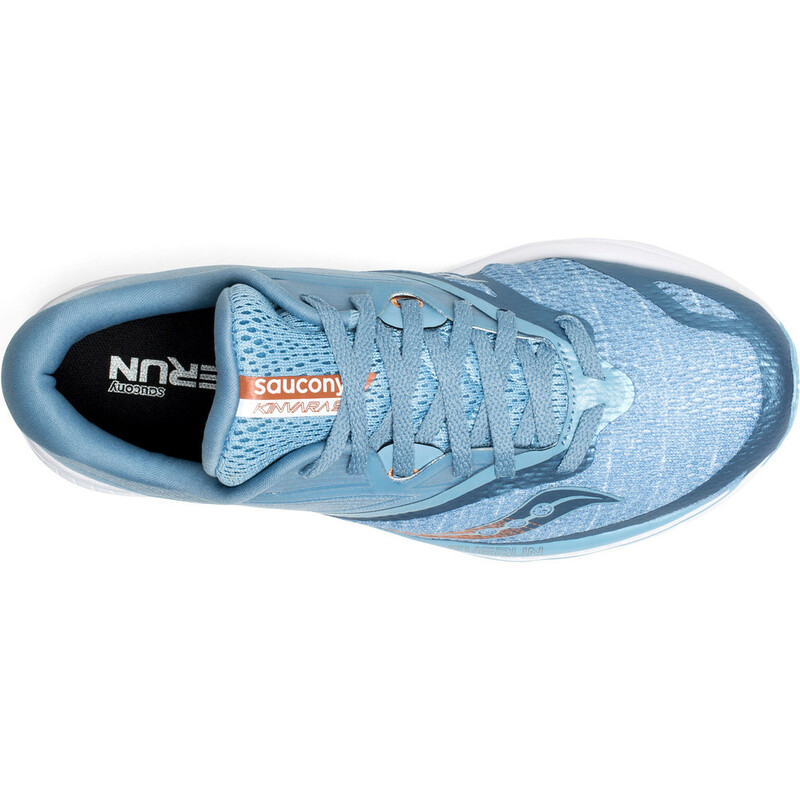 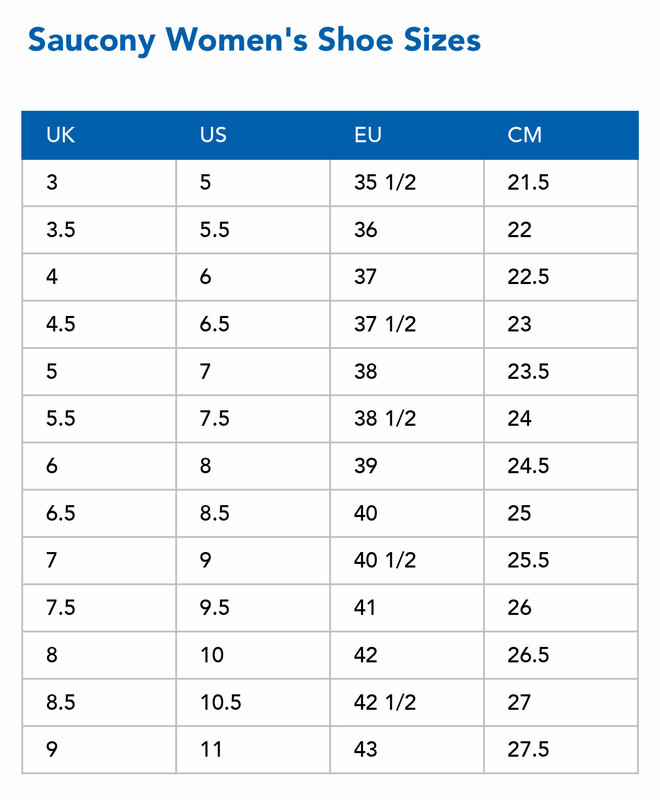 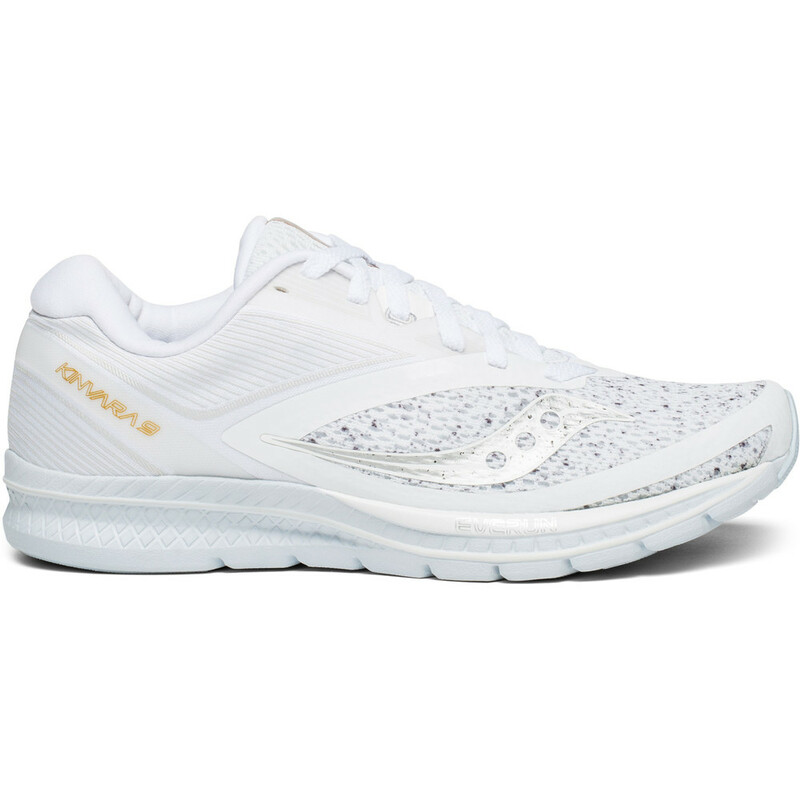 Version 9 features a minimal upper design - a more open seamless engineered mesh gives more space to the forefoot . A woven heel offers a snug and supportive wrap around the back of the foot. 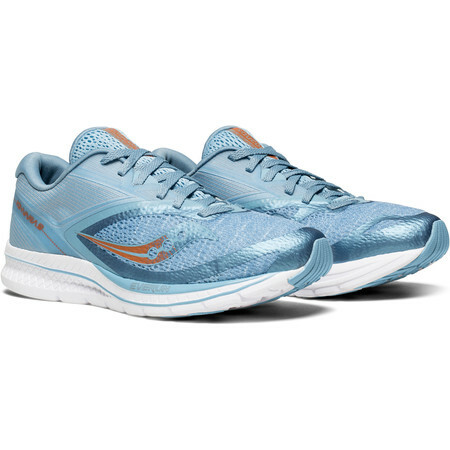 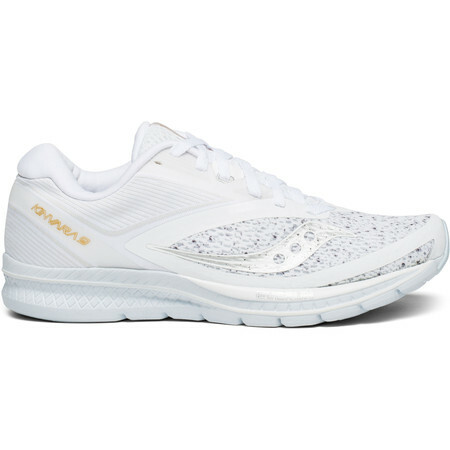 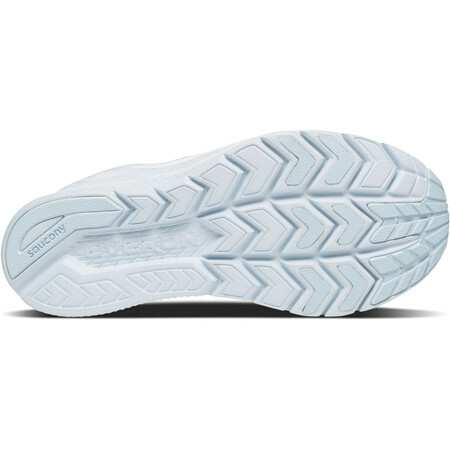 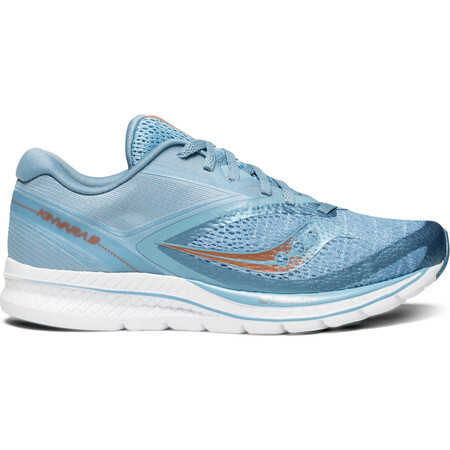 The midsole is EVA + with a topsole of Saucony’s bouncy Everun cushioning medium. 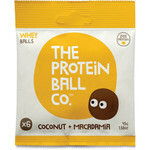 This provides a lightweight responsive ride with plenty of energy return and a springy underfoot feel. 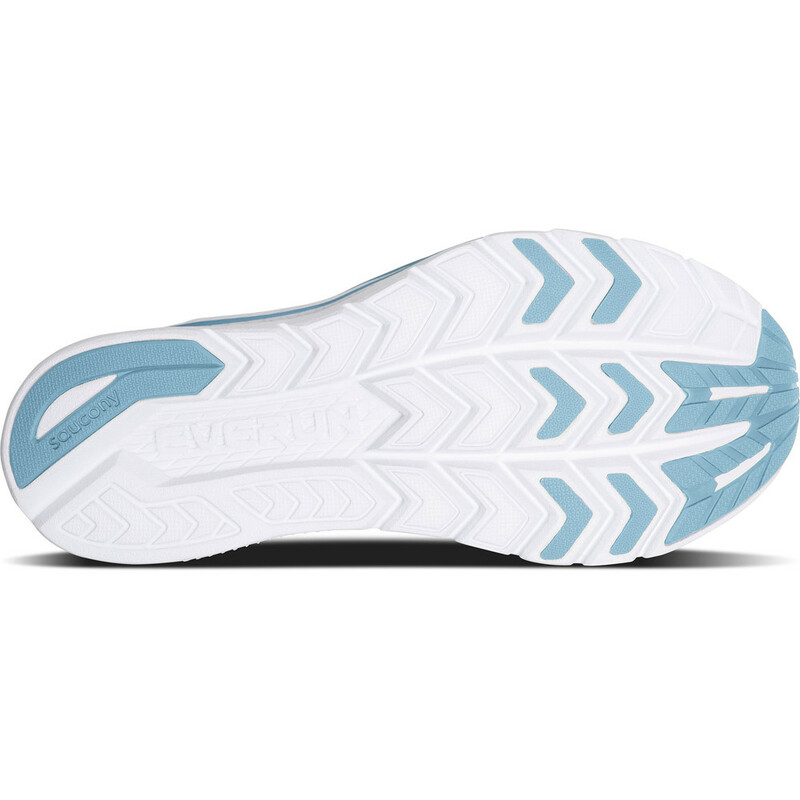 The Triflex outsole has more flex grooves than before which ensures an even more flexible ride and reduces weight further. 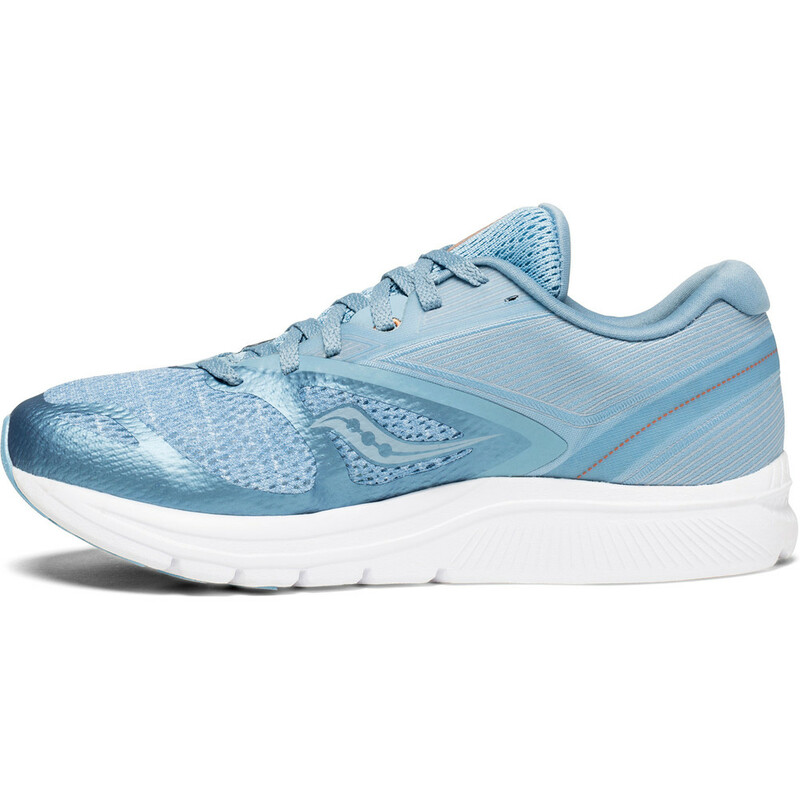 The women's Kinvara 9 is even lighter than its predecessor at 184g making this a comfy and fast shoe for training and racing.